Imagine A Beautiful, Worry-Free Floor In Your Home. One Room of Waterproof Flooring Installed, Starting at $599 per room. A revolution in Luxury Vinyl flooring and is your #1 alternative to Laminate & Hardwood Flooring. 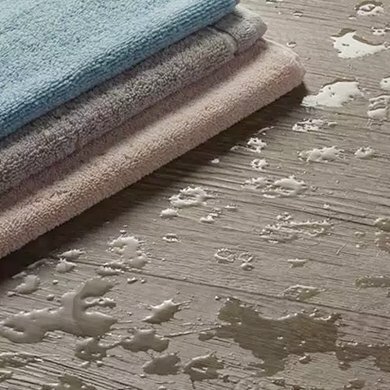 Since Engineered Luxury Vinyl is 100% waterproof, it can be installed in wet areas and will never swell when exposed to water. With its attached cork or urethane backing, Luxury Vinyl Flooring gives you a quieter, warmer floor that is naturally resistant to odor causing mold and mildew. Engineered Luxury Vinyl Plank & Tile is available in various sizes and features the most popular looks in hardwood, stone and slate flooring and is milled with the Drop and Lock profile for the easiest glue-free installation. See store for Hundreds of Styles and Colors to choose from.